Below you will find a list of Tori's albums and some links where you can find out more about them. Read all about this interesting first attempt for Tori at the Y Kant Tori Read FAQ. You can also read some reviews of this album on my YKTR Reviews Page and read the official YKTR press release from Atlantic! I also have a fascinating article on YKTR from the The Gazette newspaper in Maryland. Find out more about Little Earthquakes at the Atlantic Records web site. In 1999, a special limited edition version of LE on heavy vinyl was released in the U.K. Read more about that here. Find out more about Under The Pink at the Atlantic Records web site. There was a special Limited Edition double CD version of this album released in Australia called Under The Pink and More Pink. Read about the "More Pink" version here. In 2001/2002, Under The Pink and Boys For Pele were released together in the same package, which some places misleadingly called "Under The Pink (Limited Edition)." Read more about that here. This brilliant and complex work was released in January 1996. This is her most intense and dark album, and one of the most complex. It remains for me a close second favorite after Scarlet's Walk. Read what Tori has to say about this album and what it is about. This album was rereleased a few months after it's debut with the Tornado Remix of Talula on the album instead of the original version. The Japanese version of Boys For Pele contained a bonus track called Toodles Mr. Jim. On February 10, 1997 (a year after it was originally released) a special edition of Boys For Pele was released in the U.K., which contained the Armand Van Helden remix of Professional Widow and omitted In The Springtime Of His Voodoo. You can get more details on this album and listen to sound clips at the Atlantic Records web site. 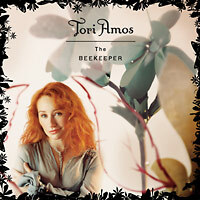 Tori latest album was released on May 4/5, 1998. Find out all about it on the Choirgirl Pages. The Japanese version of contained a bonus track called Purple People. This is a double CD with one disc of all new material and one disc of live material recorded during the Plugged '98 tour. It was released on September 20/21, 1999 in most countries. Find out all about it on the Venus Pages. An album of covers all originally done by men, but reinterpreted from a female point of view. Read about this innovative album. This was her last album of completely new material for Atlantic Records. The album had 4 different covers, all of which you can see in the photo on the right. This album was released on October 28/29, 2002 in most places and is arguably Tori's best and most ambitious album to date. In this "sonic novel", Tori's alter-ego Scarlet takes a journey across a post September 11 America, and learns things about herself and the country in general. There was also a special limited edition version of this album. Read more about Scarlet's Walk, Tori's debut album for Epic Records. This album came out November 17/18, 2003 in most countries, and was her last release for Atlantic Records, satisfying her contract with them. 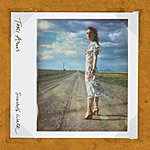 This album contains many of Tori's older songs completely reworked, along with 2 b-sides that were completely rerecorded, Mary and Sweet Dreams. There are also two wonderful new songs, Angels and Snow Cherries From France! Finally the album includes gorgeous artwork and a bonus DVD. Read more about Tales Of A Librarian. This release consists of a DVD and CD. 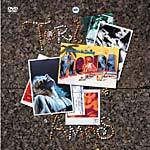 The DVD includes live footage (18 songs) from the final show of Tori's Lottapianos tour, which took place on September 4, 2003 at the Sound Advice Theatre in West Palm Beach, FL. The companion 6-track CD is called Scarlet's Hidden Treasures and includes some of the Scarlet's Walk b-sides as well as some previously unreleased songs. Read all about Welcome To Sunny Florida. This was Tori's third release on Epic Records, although it was really her second full length album for Epic. The album came out on February 21/22, 2005. You could get both a regular version of the album and a Special Limited Edition version which included a Bonus DVD with a bonus song called Garlands and special packaging. Read all about The Beekeeper.